The bar and nightclub on Southwest 1st Avenue will close its doors following Saturday night’s one final burlesque show. The owners of Market Street Pub & Cabaret, home to weekly burlesque shows and an eclectic mix of other entertainment for the past two years, have decided not to renew their lease. 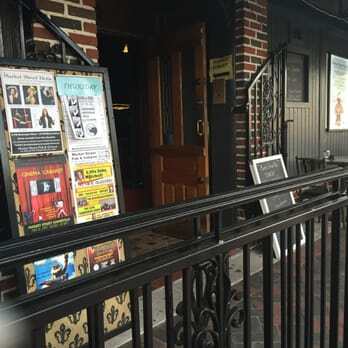 The club at 112 SW 1st Ave., next door to Loosey’s, will close Saturday night after the Market Street Revue burlesque troupe performs one final time under that name. Grezlik and Jill Dumas took over the location in March 2015 and were determined to take the historic building and create a bar space where performance art thrived. They succeeded by lining up burlesque acts, circus sideshow acts, aerialists, magicians, puppeteers, comedians, live bands and singing troupes. 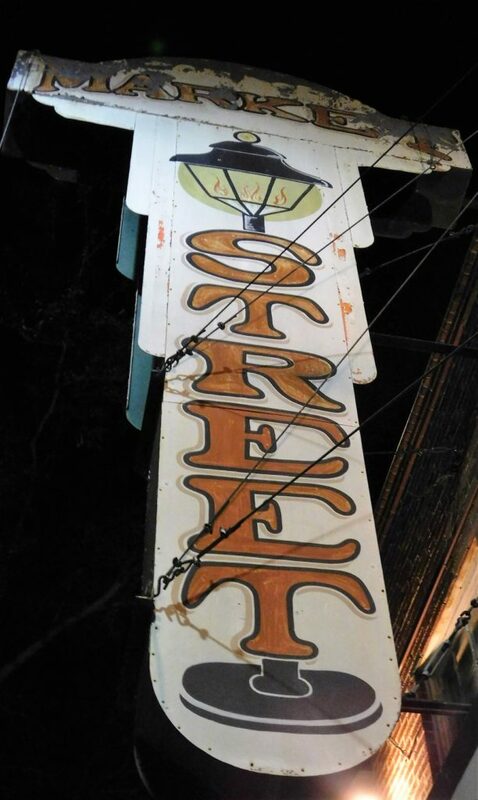 The only problem, Grezlik said, was that people generally visited Market Street Pub only during shows and didn’t patronize the bar at other times. Karaoke and trivia nights never generated strong interest. Also, a weekly comedy show struggled to find an audience. “If we didn’t have a show, that space did not make money,” he said. Grezlik said he put $80,000 of his own money into Market Street Pub, but the aggravation of running the business continued to mount. “Our average GRU bill was always $1,000 a month or more,” he said. The entrance to Market Street Pub. Sally B. Dash, who runs the Market Street Revue and also tends bar one night a week at Market Street Pub, said the venue has a lot of charm, especially the cabaret space in the rear that could accommodate more than 100 people for such acts as Little Jake & the Soul Searchers or the Electro Aerial Show with its aerial bartending. Built more than a century ago, the Market Street Pub building has housed a number of businesses over the years, including a brewery and a sausage factory. The building has several unique features, including light switches that require a ladder to reach and a dumbwaiter/pulley system for hoisting beer kegs to the second-floor refrigeration area. Near the front of the bar, steps lead up to a set of double doors that don’t open. There’s even been rumors about a ghost, known as Uncle Gary, hanging out in the attic. On Wednesday night, Just Desserts, an a cappella singing troupe, performed for the last time on the Market Street Pub stage. Gayle Shlafer, who performs for Just Desserts as Tira McSu, said she will miss the cozy atmosphere of Market Street Pub. Grezlik, 42, spent 14 years in law enforcement before deciding to open Market Street Pub. He also owns Sixth Street North, the former Gamblers Saloon at 4401 NW 6th St. The closing of Market Street Pub has left some of the groups who performed there scrambling to find new homes. The Mischievous Madams Burlesque Troupe will perform its “Sleigh Bells Holiday Striptacular” Dec. 3 at High Dive. Saturday’s Market Street Revue: Classy & Sassy Burlesque in the Round will be “an intimate burlesque & variety show featuring a rotating cast of local and visiting performers,” including Della Darling, Buttercup Sunset, Roula Roulette and, from Boston, Brandy Wine. There will also be an aerial dance by Summer Siren. Share a special memory of Market Street Pub in the Leave a Reply area below.